After winning the OSCAAR Midget Championship in 2016, Ryan Brown came back just as fast in 2017 en route to another impressive season. Kicking off the year at Peterborough Speedway, he swept the pair of heats before posting a runner-up finish. 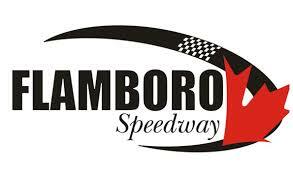 He carried the momentum to Flamboro Speedway, piloting the No. 24 Midget to a qualifier win, before scoring the feature victory. Capping the shortened season off at Sauble Speedway, he placed fourth and second in the pair of events. For Brown, the past two seasons have been beyond impressive in midget competition, with 11 straight top-five finishes, including three victories. On behalf of OSCAAR, congratulations to Ryan Brown on his success this season. We wish you the best of luck on your future endeavors.